Walking down the street to the Metro, I pass so many bars with so many TVs in them that I could probably find live footage of every major sporting event from almost every corner of the world. Obviously it’s not completely illegal to hang a screen by the beer and share a broadcast, or else entire industries would be out of business. But as it turns out, it may not always be exactly legal, either — and the rules that say when and where you’re good to go are a bit more specific than you might think. Over at GigaOm, they’ve delved into when it is and isn’t legal to share the game with a hundred of your brand-new, somewhat inebriated, closest friends. None of the televisions are larger than 55 inches. If those restrictions seem weirdly specific, well, they are. We saw earlier this year that the entire idea of “public performance” under the Copyright Act eventually doomed Aereo. So what makes a bar of 3700 square feet (but not of 3800) different? It’s all thanks to particular concessions in a 1998 copyright extension bill. That exception allows certain kinds of places to be considered, basically, home-like and not participating in public performance when they show live broadcast TV. The exception in the law was a particular concession to the restaurant and food/beverage industries, which benefit tremendously from it. But the homestyle exception specifically applies to broadcasts. 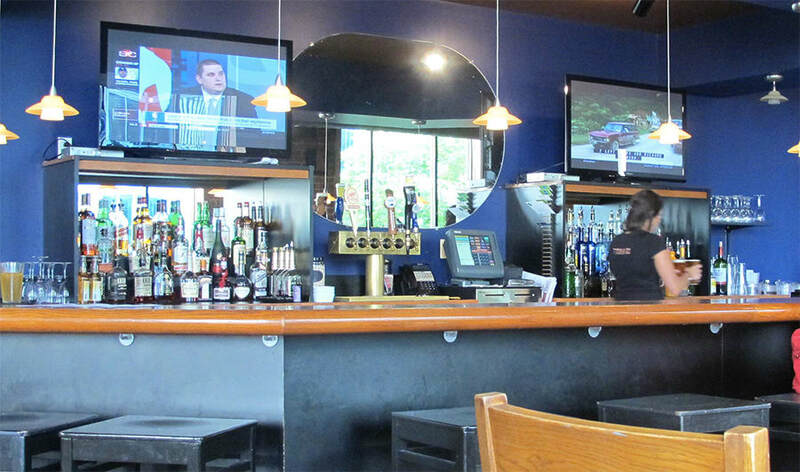 If your local watering hole uses cable, satellite, or fiber — as many do — then they aren’t allowed to show big-screen content without first securing permits. Which, let’s be honest, there’s a pretty good chance they haven’t done. Of course, GigaOm is tech-focused, so they’re thinking about the future. Sure, cable and satellite companies don’t play along. But what about internet media? It’s the future now, right? Well, the future it might be, but new techs play by old rules. Like their coaxial brethren, Netflix, Hulu, and Apple all specifically only permit private, noncommercial use. Verizon and Comcast certainly aren’t going door to door at every place in town, making sure every license is a properly paid commercial one, with it’s i’s dotted and t’s crossed. But you can still get caught, and if you do, your decision-making becomes penny-wise and pound-foolish in the worst way. Like taking your chances going 75 on a stretch of interstate with a 65 speed limit, it’s a risk — even if it seems like everyone else is doing it. And it’s a surprisingly large risk, thanks to the joy of statutory damages that a court can award. One restaurant owner, as GigaOm points out, had to pay a $32,000 penalty for showing just one pay-per-view UFC match in his establishment.